“[When I was young and lived in Israel] I used to work at a social hall. In 1982, a father and a daughter came to the office to book the hall for her wedding. All of a sudden, while discussing the details of the wedding, the father started crying. “I was very perplexed and not sure what was going on. Isn’t a wedding a happy occasion? But through his tears, the father, Yonah Baumel, told me that his son was missing in action and he was not sure if he would be found alive… and if not, they might need to sit shivah and postpone the wedding. “I will never forget this” she concluded. It was a powerful story, but I didn’t understand why she chose to share it that morning. You see, almost every Israeli knows the name Zechariah (Zachary) Baumel. Unlike the US that has tens of thousands of MIA soldiers, Israel has just a few soldiers that never got back from the battle. We all knew their names, their pictures, their stories. 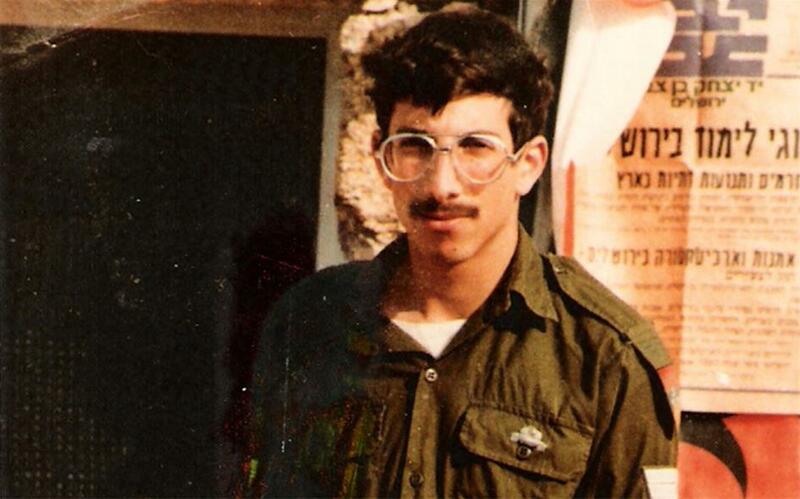 One of those soldiers missing in action was Zechariah Baumel. He was a tank commander during the first Lebanon war. In his last letter to his parents, he wrote: “don’t worry, everything is fine, but it looks like I won’t be home soon”. He didn’t come back for 37 years. For years, his father Yonah traveled around the world and met with world leaders to look for his son. Sadly, in 2009 Yonah passed away, without ever discovering the fate of his son. So why was this post on Wednesday morning about the Zechariah Baumel? Soon enough I found out. It was an emotional day for the Jewish people. Zechariah came back home, to his final resting place. Through a 3rd party country, his remains were found. He made his last journey back home on board an El Al airplane. In a special speech to the nation, Prime Minister Benjamin Netanyahu shared the news. “Next to his body, his jumpsuit and Tzitzit were found”, he said, choking back his tears. The Tzitzit are a symbol of Jewish pride. When Zechariah went to battle, he was proud of who he was. He was proud to be Jewish, proud to protect his country, and was willing to risk his life for the safety of his brothers and sisters. His Tzitzit remained with him all of those years. And they were buried with him for eternal rest. Zechariah, you are our hero. You will forever be in our heart, and your Jewish pride will always be an inspiration to us. May you rest in peace, amen. Purim is this Wednesday night and Thursday (or Friday if you live in Jerusalem or another ancient walled city), and we have the resources to make your Purim amazing. Need a Megillah? Pick from our variety of translations and formats. Not sure what to do when? Check out our Purim How-To Guide. Looking for a story to tell? We have dozens of Purim tales your audience will love. Your first time celebrating Purim? Here’s what you can expect. Whether you need answers to your Purim questions, Purim videos or songs, or to find a Purim event near you, we’re glad to be there for you. From our family to yours, we wish you a most happy Purim! Your Jewish birthday—the anniversary of your birth on the Hebrew calendar—is a big deal. Have you ever wondered when your Jewish birthday is? Do you have a friend or loved one who never learned their Jewish birthday? With Chabad.org’s Jewish Birthday Calculator, you can swiftly discover any birthday. Surprise a cousin or a colleague and share with them their Hebrew birthday. While you’re at it, learn about and share the special significance of one’s birthday, a time not just of festivities, but of introspection and improvement as well.